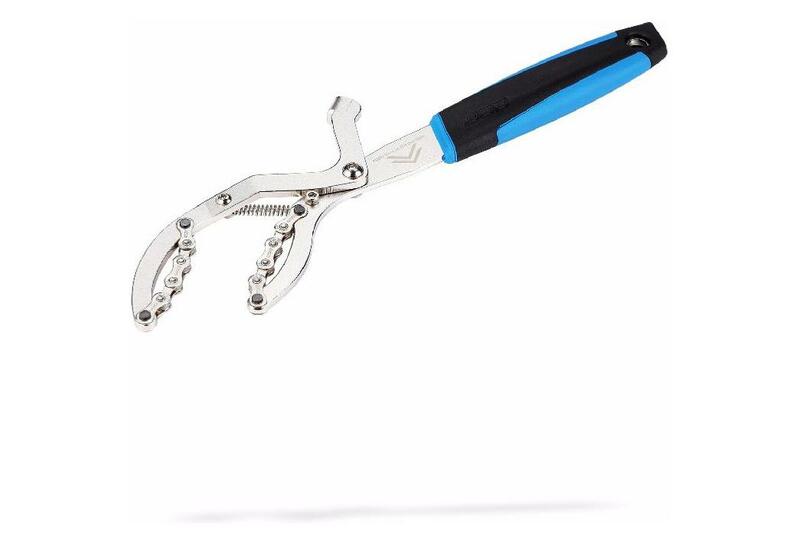 Get a perfect grip on your cassette with this easy to use cassette pliers. Suitable for sprockets from 11-26 teeth. Fitted with a spring to lock the sprocket fast and firm without slipping away. Protects the sprocket from deforming and your hands from injuries while using. Kraton handle provides a firm grip. Compatible up to 12 speed. Height x width x length (mm): 15 x 87 x 334.